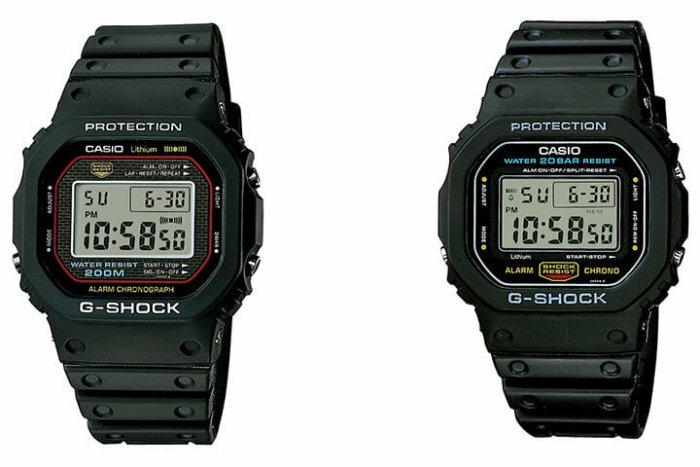 Casio is offering a restoration service for G-Shock DW-5000C and DW-5600C models in Japan for a limited time. The service costs 9,600 JPY (tax excluded) and includes the replacement of the bezel, band, and battery. The DW-5000C is the original G-Shock model from 1983 and the DW-5600C is the first “5600” model from 1987. This is the first time Casio has made this offer thanks to a new technology that is able to duplicate the original resin parts. Applications will be accepted starting 1 November 2018 at 9:00 a.m. For more information visit www.casio.co.jp. The reception period ends January 31, 2019. We don’t know if those living outside of Japan will be able to take advantage of this offer. Update: My Navi has an interesting article about the optical molding process that needs to be done by hand to create the new bezels. The article also states that the turnaround time is estimated to be two weeks, the watches will be tested for “daily” water resistance (but apparently not 200-meter water resistance), and the old bezels and bands will not be returned. Update 2: The application is now live and it appears that this offer is only available to residents of Japan. Update 3: Hong Kong store Watch Outz is extending this offer to its customers for $1400 HKD which includes shipping from Hong Kong to Japan and back to Hong Kong.